A cache of administrative documents from the ancient Persian empire reveals an intriguing facet of Persian economic life: female workers were often paid the same amount as their male counterparts. Some women were even paid more than men. 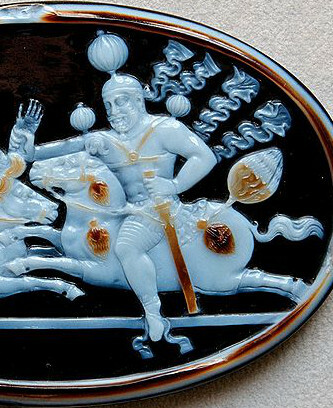 Unlike most pre-modern societies, Persians did not practice slavery. 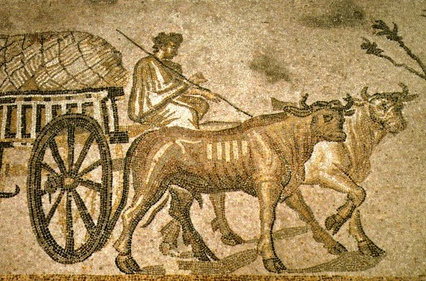 Basic agricultural and craft labor was instead done by workers who were paid in rations of grain, wine, beer, and livestock, either for their own consumption or to barter for other goods. Ensuring that everyone got properly paid was the work of administrators who documented the distribution of these commodities from royal and aristocratic estates to the workers who supported the elite. The documents created by these administrators were not intended for posterity, but some survived by chance when Alexander the Great’s army destroyed the palace at Persepolis. The collapse of part of the building protected the archive it contained of about fifty years’ worth of documents. Excavations in the 1930s recovered documents like these two below. 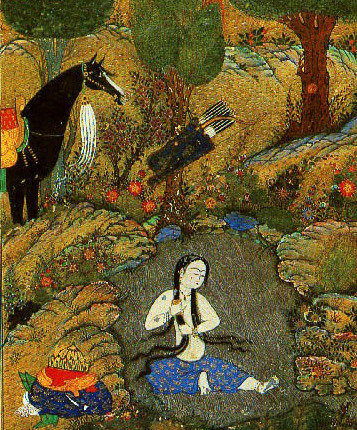 An arashshara was a female supervisor managing a group of pashap, who were workers of some kind. The exact meaning of the term pashap is unclear, but it seems to have applied to agricultural and craft laborers who were supported with monthly distributions of food and supplies. The different levels of rations assigned to groups of workers in these texts probably reflect different ages and levels of responsibility. 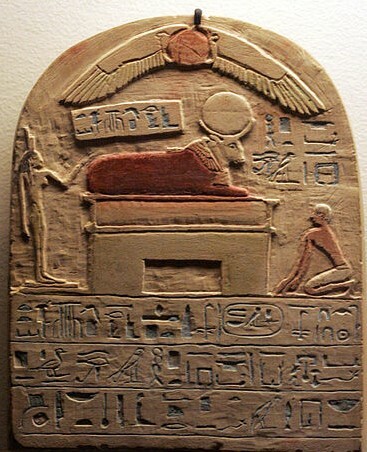 1 arashshara of the pashap subsisting on rations at Umpuranush, whose apportionments are set by Irshena, received as rations 30 quarts of wine supplied by Irtuppoya. Month 2, year 22. 30 quarts of wine for a month was typical for local supervisors like this one. It was a generous, if not luxurious, standard of pay. It is worth noting how many women in the second text were paid as much or more than their male colleagues, and also that the highest paid worker on the list was a woman (probably the arashshara of the workers at Liduma). If we break down the numbers, there are a total of 34 male workers being paid an average of just over 22 quarts of grain a month, while 49 female workers were paid an average of more than 32 quarts. Other tablets show that this distribution of pay was not universal, but neither was it atypical. Not every woman in Persia was paid as much as a man for her work, but many of them were, and those who were placed in positions of responsibility received pay to match. If the ancient Persians could do it, what’s stopping us from doing the same today? We often think of multiculturalism as a particularly modern virtue, but the ancient Greek historian Herodotus gave a pretty good argument for respecting other peoples’ cultures more than two millennia ago. 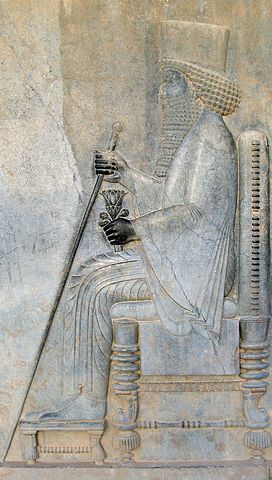 When Darius was king [of Persia], he summoned the Greeks who were at his court and asked them how much money it would take to get them to eat the bodies of their deceased fathers. They replied that nothing would make them do so. 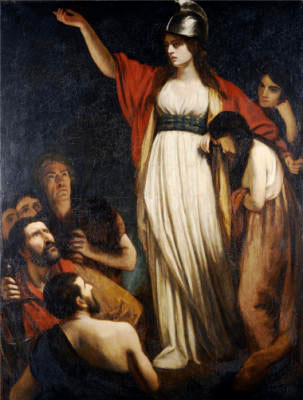 Darius then summoned some Indians, called Kallatiai, whose custom it is to eat their dead parents, and asked them—in the presence of the Greeks, who had an interpreter to explain the Kallatiai’s words—how much money it would take to convince them to cremate their deceased fathers [as was the Greek custom]. The Kallatiai exclaimed that he should not even mention such an abomination. Custom dictates such things, and it seems to me that [the poet] Pindar got it quite right when he said that custom is king. Herodotus does not tell this story at random but to illustrate a point. Cambyses, a different Persian king, had mocked the Egyptians for worshiping a white bull, and Herodotus felt that Cambyses had been very wrong, even insane, to do so. This story about Darius’ cultural investigations was meant to drive the point home: everyone believes in their own way of doing things, and it is wrong to dismiss or disparage other peoples’ culture, even if you don’t share it or even understand it. We can respect other people’s culture just as we expect them to respect ours. No culture is right or wrong. So, for those of you keeping score, that’s a Greek author standing up for Egyptian traditions against the scorn of a Persian king and citing another Persian king’s discussions with Greeks and Indians to do it. Herodotus’ defense of multiculturalism is itself multicultural. So, the next time you’re having a bad hair day or just can’t be bothered to do anything but tie it back, you can tell the world you’ve got rebels to fight and the hair can wait. … Marcus Licinius Crassus would have been the first emperor of Rome instead of Julius Caesar. Alfalfa is a plant in the pea family that resembles clover. It originally comes from south central Asia and was cultivated in the northern parts of the Iranian plateau as animal fodder. Compared with other fodder plants, alfalfa is very high in protein, so it is mostly fed to cattle. It can be given in small amounts to most horse breeds, but in large amounts it causes bloating as horses cannot use the excess protein. The exception is Nisaean horses, a breed of horse that was developed in northern Persia and bred to feed on alfalfa. These horses were able to absorb the extra protein of alfalfa into their bones, giving them denser, stronger bones than other horses. These dense bones enabled the Nisaean horses to make sudden turns while galloping at high speed that would have broken other horses’ legs and to carry heavier weights than other horses of the ancient world could manage. Well, no I don’t actually want one. I don’t have room for one to begin with, and I don’t live in the right climate anyway. That doesn’t change the fact that iwans are cool. Literally. An iwan is a large room with a vaulted ceiling that has walls on three sides and the fourth side open to the air. They were built in the heat of Mesopotamia to create large shady spaces that were still open to light and air. 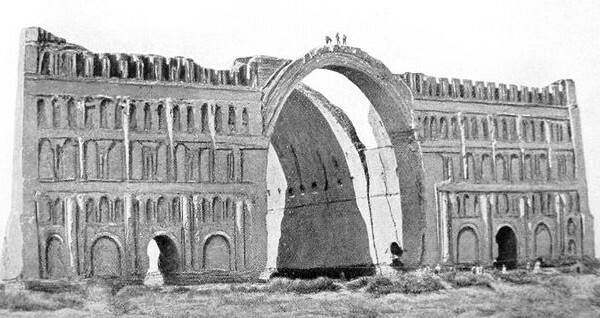 The earliest iwans are thought to have been constructed under the Parthian empire in the first or second centuries CE. 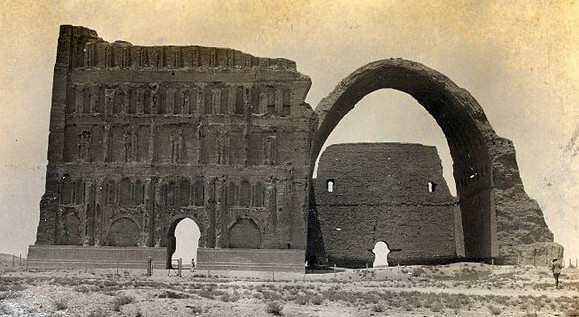 One of the earliest examples to survive into modern times was at Ctesiphon on the Tigris River, built by the Sasanian empire in the sixth century CE. Unfortunately, the building fell into poor repair over time and was destroyed by wars in the twentieth century, but in these old photographs you can still see enormous vaulted space. 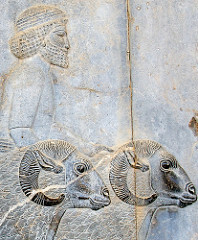 Sasanian iwan, from Wonders of the Past vol. 2 via Wikimedia (photograph 1864). Note the people standing on top of the roof vault for a sense of scale. The majority of the stuff that needs to get done in an agrarian society is basic manual labor: primarily farm work, but also things like construction, building and road maintenance, mining, carrying, housework, etc. Any functioning pre-industrial society needs lots of workers to do all that work, but there are many different kinds of workers, some of which are not so familiar to us today. Some of these kinds of workers had it much better than others. Here’s a list of possibilities, by no means exhaustive, arranged roughly in order from worst to best conditions.